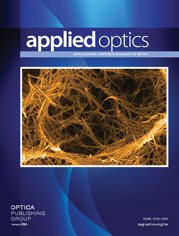 The authors are with Spectra Technology, Inc., 2755 Northup Way, Bellevue, Washington 98004-1495. The standard method of matching boundary conditions at the interfaces of a multilayer plane dielectric stack is shown to be numerically unstable for the evanescent orders when a large number of layers is present. For an isolated dielectric stack with an incident propagating beam there is no need to calculate the evanescent orders; however, when a diffraction grating is buried under the stack there is mixing of orders, and it may be important to calculate the evanescent as well as the propagating orders. It is shown that the impedance formalism removes the numerical instability completely. This method may be coupled to either boundary integral or differential equation methods for the grating to provide the complete solution for the grating–stack system.